First C. B. Moore Award for Excellence in Archaeology, Southeastern Archaeological Conference 1990. 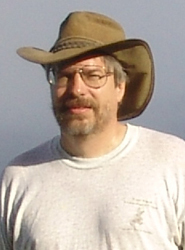 Society for American Archaeology (SAA) Dissertation Prize 1991; SAA Presidential Recognition Award 1997; SAA Excellence in Cultural Resource Management Award for Research 1999; Fellow, American Association for the Advancement of Science 2014; Lifetime Achievement Award, Southeastern Archaeological Conference, 2018. Using CRM Data for “Big Picture” Research. 2018. David G. Anderson. In New Perspectives in Cultural Resource Management, edited by Francis P. McManamon, pp 197–212. Routledge Press, New York. Mississippian Beginnings: Multiple Perspectives on Migration, Monumentality, and Religion in the Prehistoric Eastern United States. 2017. David G. Anderson. 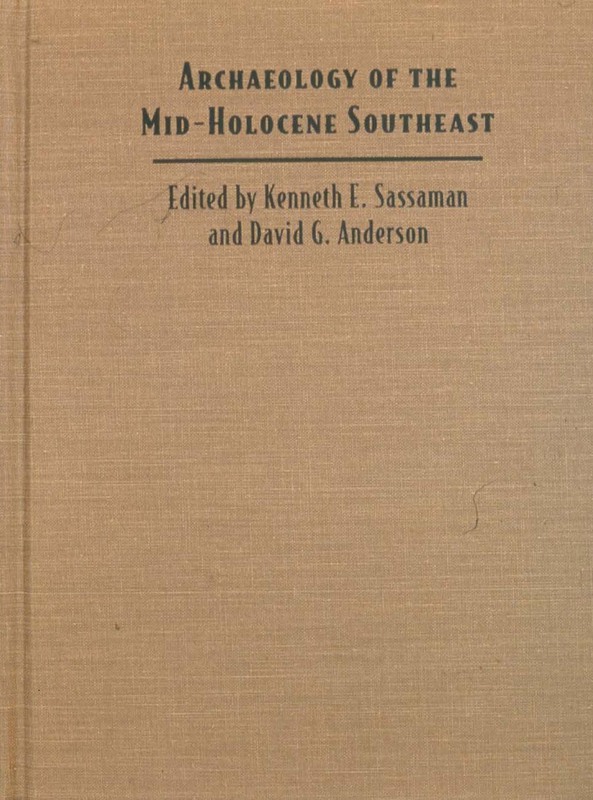 In Mississippian Beginnings, edited by Gregory Wilson, pp. 293–321. University of Florida Press, Gainesville. The Initial Colonization of North America: Sea-Level Change, Shoreline Movement, and Great Migrations. 2015. David G. Anderson and Thaddeus G. Bissett. In Mobility and Ancient Society in Asia and the Americas: Proceedings of the Second International Conference on "Great Migrations” edited by Michael Frachetti and Robert Spengler, pp. 59–88. Springer, New York. Pleistocene Human Settlement in the Southeastern United States: Current Evidence and Future Directions. 2015. David G. Anderson, Ashley M. Smallwood, and D. Shane Miller. Paleoamerica 1(1):7–51. Archeological Investigations at Shiloh Indian Mounds National Historic Landmark,40HR7, 1999-2004. 2013. (David G. Anderson, John E. Cornelison, Jr., and Sarah C. Sherwood). Southeast Archeological Center, National Park Service, Tallahassee, Florida. Recent Developments in Southeastern Archaeology: From Colonization to Complexity. 2012. (David G. Anderson and Kenneth E. Sassaman). 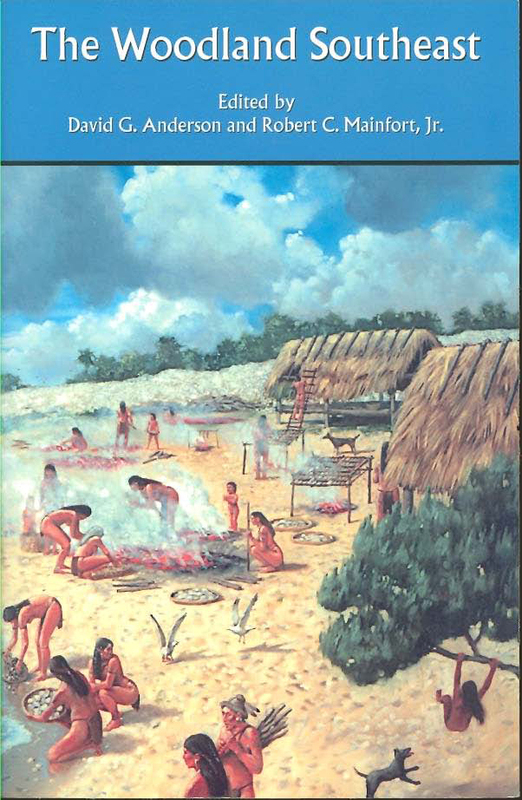 Society for American Archaeology Press, Washington, D.C. 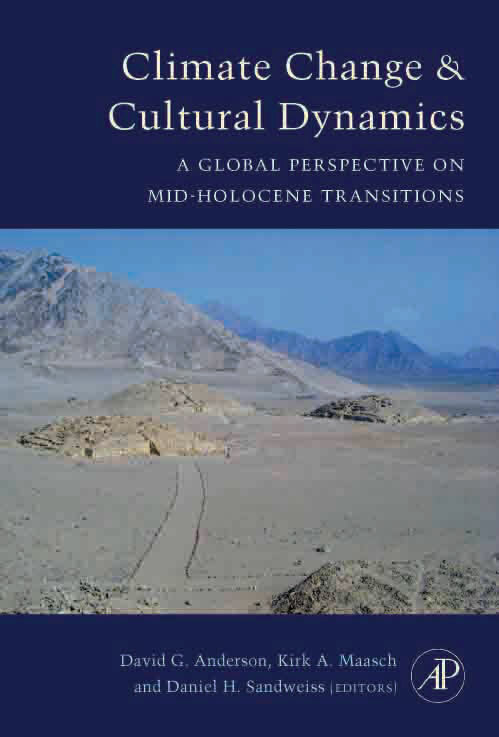 Climate Change and Cultural Dynamics: A Global Perspective on Mid-Holocene Transitions (David G. Anderson, Kirk A. Maasch, and Daniel H. Sandweiss, editors). 2007. Academic Press, Amsterdam, The Netherlands. 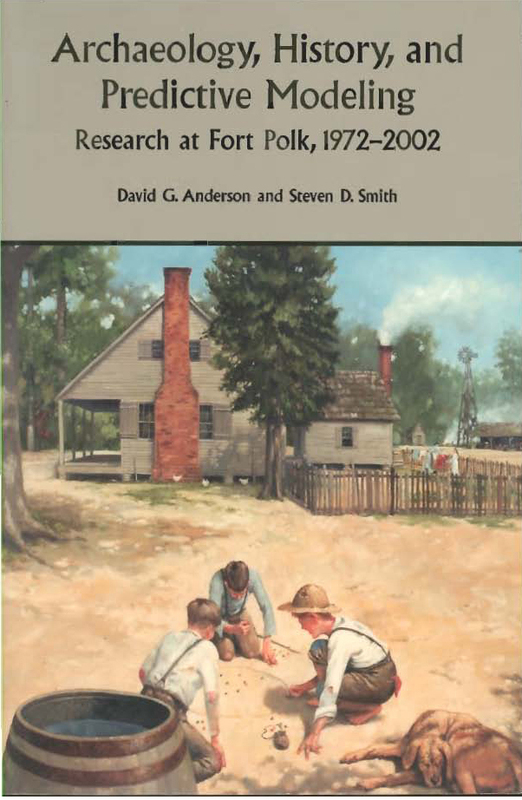 Archaeology, History, and Predictive Modeling: Research on Fort Polk 1972-2002. (David G. Anderson and Steven D. Smith). 2003. University of Alabama Press, Tuscaloosa. The Woodland Southeast. (David G. Anderson and Robert C. Mainfort, Jr., editors). 2002. University of Alabama Press, Tuscaloosa. 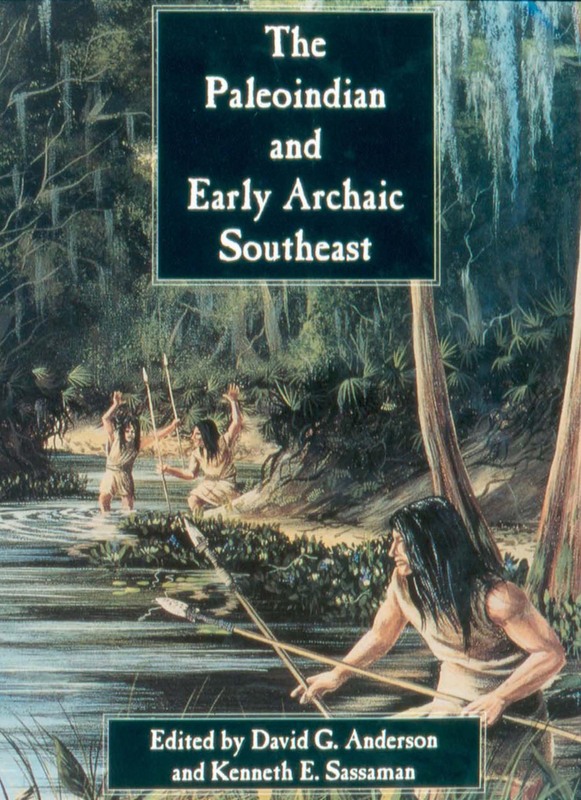 The Paleoindian and Early Archaic Southeast. (David G. Anderson and Kenneth E. Sassaman, editors). 1996. University of Alabama Press. The Archaeology of the Mid-Holocene Southeast. (Kenneth E. Sassaman and David G. Anderson, editors). 1996. University Presses of Florida. The Savannah River Chiefdoms: Political Change in the Late Prehistoric Southeast. 1994. University of Alabama Press, Tuscaloosa, Alabama.